See your dream conservatory take shape. 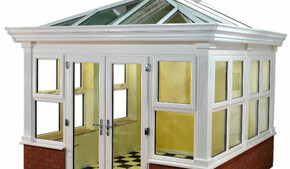 We offer a comprehensive 3D render of your ideal conservatory so you can see how the design complements your home. At Windowfix, we can design and construct custom-built conservatories throughout Rugby and Nuneaton which can be tailored to your exact requirements. If you want to extend your home but want to be sure that your new conservatory complements your existing property and enhances its appearance, we can help. Available in a wide range of colours and styles, our conservatories are some of the finest available, and can be designed to match the characteristics of your home to create a seamless addition to your living space. When you choose to invest in a conservatory or one of our orangeries in Nuneaton or Rugby, we will begin by visiting you at home where we will take a digital picture of your property and work alongside you to design a 3D plan of the structure. This will enable you to visualise the finished product before construction begins, and will give you the freedom to select each detail of your conservatory or orangery from the roof to the glass and colour of brick. This 3D design element of our service is offered at no additional charge, and is designed to make it easier for you to get a feel for how your new living space will look once it is complete; the perfect way to ensure that you get exactly what you are after. Working closely alongside you at your Rugby or Nuneaton home, we will incorporate your ideas into the plan and strive to surpass your expectations with the orangery or conservatory which we construct. 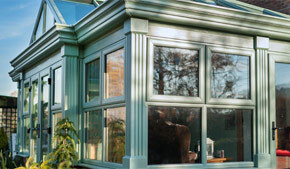 Get in touch now to take the first step towards enhancing your home with Windowfix.